In today’s society, women are taking charge of multiple roles in their lives. Often times, women strive to perfect the technique of juggling the duties of taking care of family obligations, school, career, business, children, and other responsibilities but drop the ball when it comes to taking care of themselves. At times, the increase in demands leads to burn out and stress. Not being able to meet certain expectations can become a health concern in the long run. 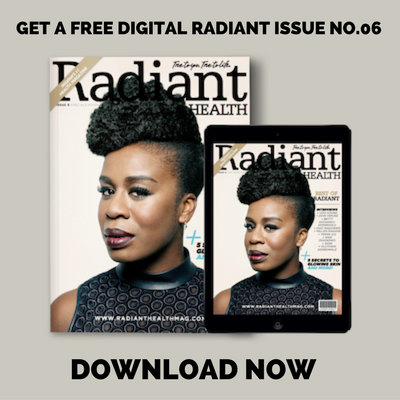 This was a problem that inspired fitness entrepreneur and motivational health coach, Dreyah Aikhoje, to develop an accessible way to encourage career women to develop a healthier lifestyle. In 2014, she founded Dreyah Fit in Boston, Massachusetts. It’s a fitness and lifestyle brand that empowers working women to take charge of their overall fitness and health. 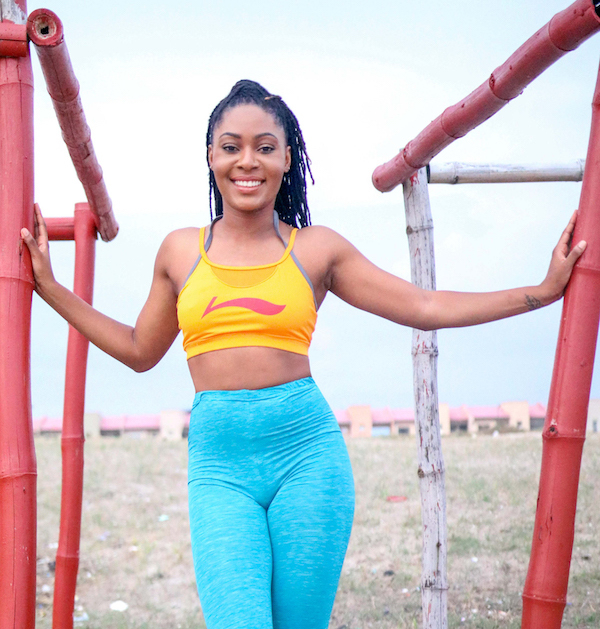 With more than 10 years of experience in the American fitness industry, she is one of many passionate young professionals at the “forefront of the health revolution” that is sweeping her native country, Nigeria. Aikhoje took her business from Boston to Lagos, Nigeria when she noticed the increased numbers of Nigerians invested in improving their health. 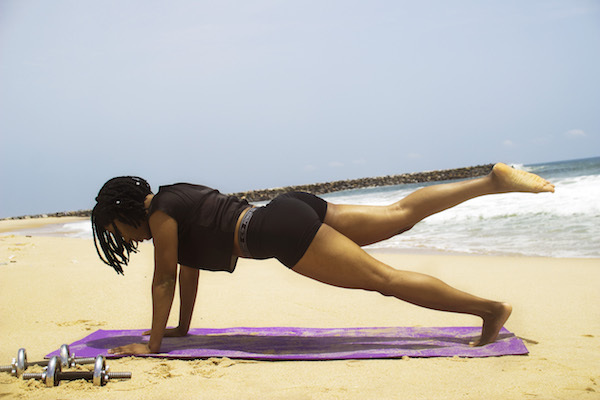 To meet the needs of her demographic, one of the main components of the Dreyah Fit brand is its web app, where people can sign up online for an exclusive membership with benefits that includes a free nutrition and meal plan e-book guide, afro beat dance workouts, strength training, and cardio videos, and fitness retreats. In Nigeria, people can’t afford to get sick. There isn’t a healthcare system that can cover you if you do,” she explained. “If you don’t have the money, you won’t be cared for. This is just one of the many reasons why more people are looking to invest in preventative measures to better their health. At first, the idea of a mobile app was a good idea, but it came with some challenges she wouldn’t have thought twice about if she was in the U.S. Bringing her business to Lagos took extensive preparation. After graduating from college and working in corporate America full time, Aikhoje took her passion for fitness and dance and became a Zumba instructor part-time. When she realized teaching Zumba classes didn’t give her the freedom to explore various worldly dance routines, she decided to create her own dance classes. Her decision to expand her brand in Nigeria didn’t happen until 2015 when she visited Lagos to celebrate her sister’s wedding. Curious about the fitness scene, she went around the city to inquire. “Many were receptive to the idea to have fitness classes and workshops because there wasn’t many,” she said. “I believed that I could make things happen here, so I returned to Boston to do more research and gain experience in managing a fitness facility. Lagos has adopted the American diet. You see Dominoes, ColdStone ice cream, Pizza Hut, Krispy Creme, and KFC. The influence is strong and hard to ignore. No day is the same for Aikhoje. Her daily activities range from scheduling personal training sessions with clients to organizing corporate wellness solutions for various companies. Every interaction gives her a chance to understand the personal and societal problems that affect her clients. Despite the difficulties, she is optimistic about where the industry is heading. As her business grows, she’s looking to expand her brand internationally through technology and coding. This year, Aikhoje is focused on developing new content. She looks forward to partnering with more companies and brands that align with her mission to “motivate women to be the best version of themselves,” while educating the masses on holistic health. Her website launch is tentatively scheduled in the spring. To learn more about the Dreyah Fitness brand, visit her website here or follow her on Facebook. 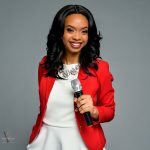 Laura is a U.S based multimedia journalist, emcee and video content producer. 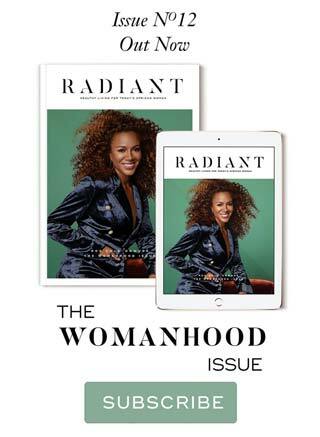 She has covered stories on influential people from entertainment to politics as well as stories that affect women of color and Africans and the diaspora. Her work has been featured on television, online, and radio. Some include TV One, WBZ-TV/Radio, 21 Ninety, Afroelle Magazine, Somerville Times, SNN, Narcity, and the Baystate Banner. You can check out her work at lauraotv.com or follow her on Twitter and Instagram at @laurao_tv.